Hybrid technology separates hybrid cars from fuel-powered, but these innovative vehicles require the same care as the old cars. Certified Automotive, with the guidance of our ASE mechanics, can help hybrid car owners look after their cars. It’s one of the most significant purchases you’ve made, and we’re here to make sure that you get the most from this technology. We provide repair services for hybrid cars exclusively. The technology in your car, even with the conventional internal combustion system, is different. You can’t bring it to regular auto repair shops because they might not be familiar with the new components and the engineering in general. If you’re still unsure of your responsibilities, we’ll make sure that you know them when you bring in your hybrid car for a service at our Salt Lake City shop. Among other things, you still have to do, tune-ups, oil change, and emission monitoring to keep your hybrid car true to its promise of better fuel efficiency. 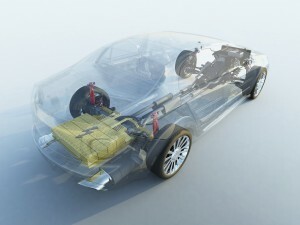 Maintenance is your biggest protection against costly repairs for your hybrid car. This means that your overall approach in repair and using your car should always veer on the safe side. The best thing about a hybrid is that the battery pack can go a long way; it’s much cheaper to replace, and in coordination with the fuel engine, allows you to use it like a regular car. But the biggest pull of hybrids, besides the eco-friendliness, is the fuel economy. If your car rates at 47 mpg, you have a much better efficiency than most cars on the road. We must work together to maintain that level of fuel economy. Our mechanics will handle the general maintenance and repair, from tire analysis and wiring checks to battery test and diagnostics, while you drive your car the way it should be driven. In many ways, a hybrid car is a lot like old cars. They’re sensitive to things like tire pressure, acceleration, braking, and cargo loads. Exert the same level of effort in caring for it as you did for your old car. Whether you bought your hybrid for the decreased emission or increased efficiency, proper care is still important. For reliable hybrid repair services in Salt Lake City, let Certified Automotive handle everything. Call us today or fill out the short contact form to schedule an appointment.